What is a Scout campout? When many people think of “camping” they think of gassing up the RV and loading it up with groceries, beverages, maybe the ATVs, video games and sports gear, and heading to the lake, a KOA or a state park and plugging in for a weekend or a week. To a lot of Scouts and Scouters, that’s not really camping – it’s a vacation in a tin can. But just what is Scout camping? Troops go camping every month – it’s part of what we do. True, sometimes a month is skipped here and there, such as around the holidays or over the summer, but there is normally some kind of overnight outing twelve months a year. The makeup of these outings, though, varies tremendously. That’s one of the great things about Scouting. It’s not a one-dimensional program. We don’t just do one kind of activity. Our calendar doesn’t consist of practice, practice, game, practice, practice, game… but is an ongoing continuum of seasonal, varied and rotating activities. And it’s planned and carried out by the boys, not the adult coaches, mentors or facilitators. With such a variety of things to do – camping, hiking, cooking, canoeing, climbing, cycling, conservation – every month can bring a different theme and activity. Scout camping is different from other kinds of camping, though, in that it is the great classroom of the outdoors in which the values of Scouting are instilled. 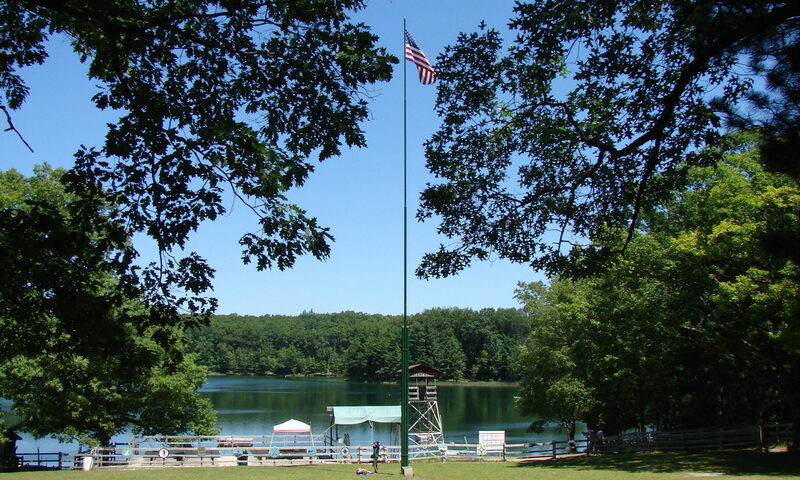 So what are the essential elements of a Scout campout? Youth-led: Scout campouts are planned, prepared for and conducted by the Scouts themselves, with support and assistance from adult leaders. Youth leadership is put to the test on Scout campouts, and the results and lessons learned are immediate. Patrol-based: Scouts camp not as individuals, families, or as a large group but by patrols. The patrol – not the troop – is fundamental in Boy Scouting. Patrols function as independent units, sharing responsibilities among themselves. 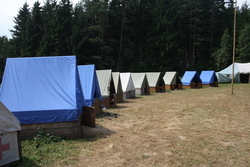 Patrols camp together; they are not split up, combined or formed on an ad-hoc basis for each campout just to make administration more convenient. Duty to God: A Scout is Reverent, so duty to God is incorporated, such as a Vespers service and grace before meals. Each Scout is able to explore his own faith and respect the beliefs of others. Respectful: The Outdoor Code and Leave No Trace principles are followed at all times. Scouts learn to be good stewards of the environment. Advancement: When Scouts go camping, the things they do naturally lead to advancement in rank. They receive recognition for the things they do, and the skills learned serve them in the outdoors as well as later in life. I suppose another question could be “What activities are not necessarily suitable as the basis for a campout?” Museum tours, attending sporting events, purely recreational activities – anything where you’d, in effect, just buy a ticket and stand in line or where the venue offers a “package deal”. 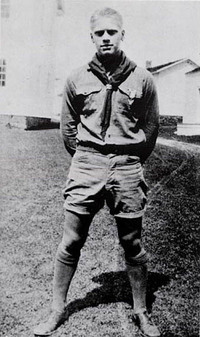 Likewise, outings resourced, arranged and/or planned by the troop’s adult leaders and presented to the Scouts defeat the purpose of the boys planning and conducting their own outings. These and other similar activities don’t require much planning and preparation and they deny our Scouts the experience of doing it themselves. There’s a fuzzy line, though – a patrol camping at a state campground could certainly hike to a nearby geology or nature center and spend some time there learning from the rangers, or a side trip to a ski area where all members of a patrol are earning the Snow Sports merit badge are good activities – as long as they fit in with a patrol-based, youth planned weekend. Of course a troop can go camping for fun – in fact, just about every troop has one or two campouts each year without the urgency of a regular outing. However, at any well-planned campout, Scouts will naturally learn new skills and brush up on ones they already know – and one good way is for Scouts to teach each other rather than having adults teach outdoor skills. The Scoutmaster Handbook and the upcoming replacements, the Troop Leader Guidebooks, have much information on the outdoor program including advice on helping Scouts plan, prepare and conduct their monthly outdoor adventures. Guide them to suitable activities, but just be sure the Scouts have the active hand in every phase of the process.